Let’s take a look at the UFC best bets for the Frank Mir vs. Antonio Silva fight in Brazil. Frank Mir fans have been subjected to a number of peaks and valleys throughout his long career. When he’s not breaking arms, he’s probably breaking fans’ hearts. Mir is currently in a tough four-fight losing streak. He’s not had his hand raised in over three years. His last victory was another bone breaker — his sick submission win over Big Nog at UFC 140. So who do you expect to see at UFC Fight Night — the Mir that dominates or the Mir that can get dominated? If you’re a Mir fan, as the WWE’s Bad News Barrett would say, “I’m afraid I’ve got some bad news.” Here’s why Bigfoot Silva will win. 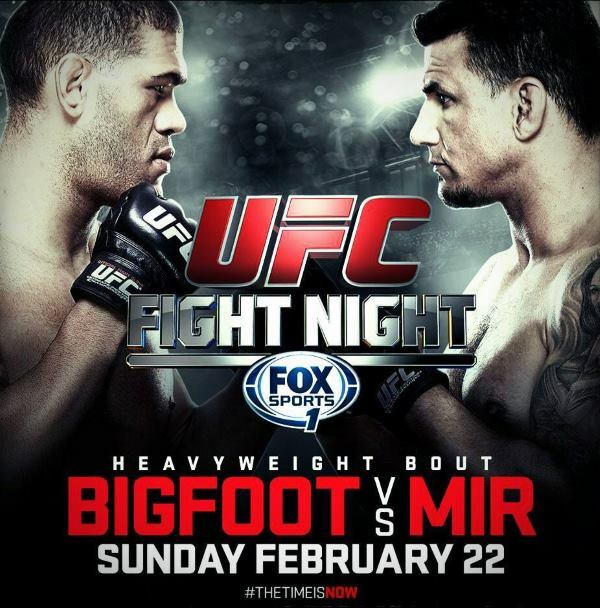 First and foremost when discussing Silva vs Mir: Bigfoot has never lost by submission. Mir’s best chance to win comes from his ground game. But he’s not adept at takedowns and Silva is solid if unspectacular at defending takedown attempts. I wouldn’t be surprised if this fight never hits the floor. And that has to favor Silva. Neither fighter is the most accurate striker, but Silva puts together combos better than Mir. Mir also eats a lot of punches, just over four per minute. Silva also has more power than Mir, so when he lands a two, three or four shot combo, Mir will be rocked. Silva smells the blood in the water better than most, and he also finishes well. That all spells bad news for Mir. If we are looking at the hunger aspect, Mir hasn’t seemed like the Mir of old in a long time. Silva has had issues with passing tests, but he still wants very badly to be the UFC heavyweight champion. I don’t know if Mir has the fire to make another run at a title. Nothing in his recent future would give us reason to believe that. In fact, he’s closer to being dropped than making a title run. Silva fought for the title in 2013, and still believes he can get back into contention and get that strap. That’s just another area where Silva is favored. So how does it end? If you are throwing money on the fight and like checking out MMA online sportsbook reviews, I can see the first round starting slowly without a lot of action. Silva likes to get off quickly, but Mir is durable enough to take some shots and tie up Silva. He’ll make it to round two, where Silva will break his will, and quite possibly his jaw. Silva has finished Fedor, Travis Browne and Alistair Overeem, and we suspect he’ll do the same to Mir. The current odds have Silva at -260, so you’ll have to bet $260 to win $100. That’s not the best value, but then betting on the favorites rarely is. We’re confident Bigfoot will finish Mir, so we’re comfortable taking those odds. The best part — at least for those not making a wager — is that Silva vs Mir should be a fun scrap no matter the outcome. ← Previous Story Ten years on, can Arlovski work his way back to UFC gold?